Parley. We wish to speak with the captain. The right leader can be hard to find. Especially in a group of unscrupulous, lying, cheating, no-good...wait, are we talking about politicians or pirates? Sometimes it can be hard to tell. Oh, that’s right pirates are the one with the code. 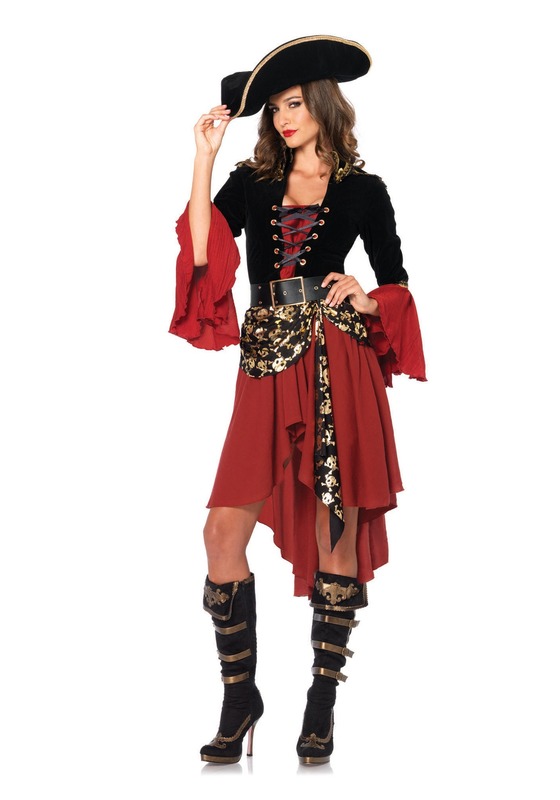 The pirate code is not one to be trifled with. Under this code, the crew could vote for their commanding officers. Once a man signed this code, by making his mark, and swearing over crossed pistols, he was allotted a portion of the plunder, and was part of the decisions aboard the ship. If someone went against the code however they were stranded on the next island they came across. 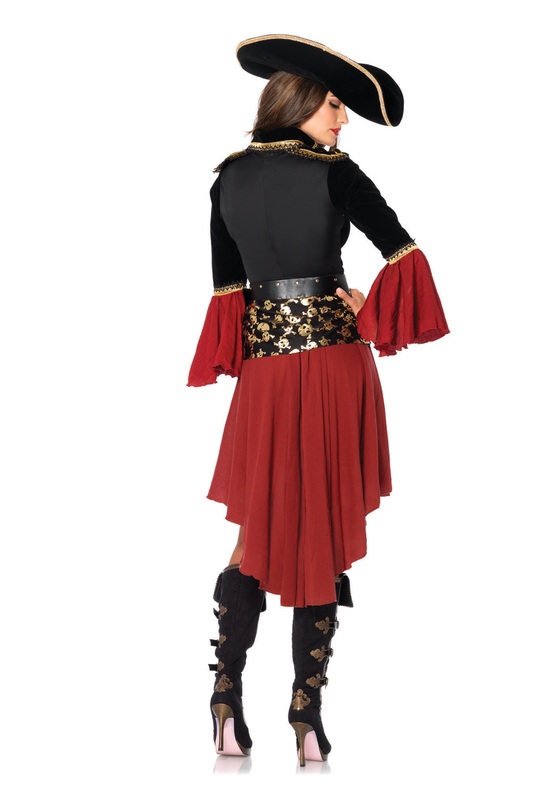 When you put on this Cruel Seas Captain Costume you are in turn swearing to uphold the pirate code. You promise to let the men under your command have an equal right to the loot you will relieve other ships of. When you wear this dress you agree to grant the request of parley to anyone who asks. Putting on the skull and crossbones sash makes you responsible for your crew. Any crime they commit, you commit, so find a way to keep them under control. And don't be afraid of stranding someone who breaks their oath, because that is the price you pay when you are a pirate. You live by the code. Unlike politicians. Fit great, well made and will wear it again and again in the future.